Having the correct film for pallet stabilisation is crucial. Too thin and the film can break, too thick and costs soar. 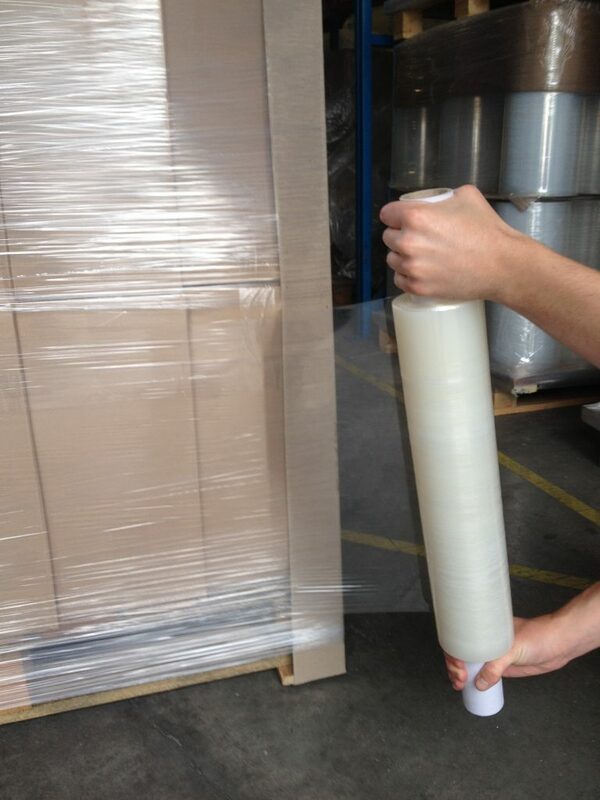 Too thin and the number of wraps per pallet is high, too thick and labels cannot be seen. Food processing customers may like to consider a blue tinted hand film. For pallet quantities this can be accommodated. Customer who are wrapping high value or security sensitive goods such as electronic components, computers, pharmaceuticals etc. might wish to stabilise their pallets with a black opaque stretch wrap film. Please call our sales office for advice and pricing on this product. Hand roll dispensers available for most rolls if preferred.